The National Aeronautics and Space Administration (NASA) is tasked with research and probe into deep space. Currently, NASA is focus on the exploration of Mars. 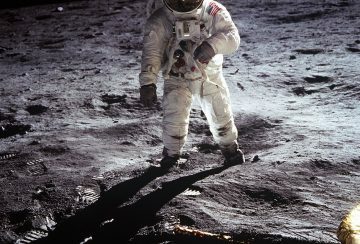 As different space agencies gear up to travel to the moon and further afield, to Mars, the safety of the explorers, the astronauts, is the most crucial aspect of deep space exploration. Toward that end, Dr. Curtis Cripe, along with numerous other researchers and scientists are currently busy designing and developing the means to keeping the men and women explorers not only safe, but healthy in mind and body. Currently, spaceflight research suggests that movement control, cognition, 3D perception, and self- regulatory changes can be negatively affected by microgravity changes in space travel. In further support, pre-and post-flight MRI studies note significant gray matter reductions in key brain structures known to support proper cognitive performance and mental health (prefrontal cortex, insula, hippocampus). To date, how the brain adapts to structural gray matter loss required to maintain stable cognitive performance has not been studied. The Brain-Indices study will focus on determining possible neuroadaptive brain changes and its stability in a microgravity environment. This will be achieved by focusing on short/long-duration spaceflight effects on vital neuroelectric brain markers within crucial brain network hubs and their interconnected networks known to regulate neurocognitive skills required for proper maintenance of cognitive, affective, and psychological performance stability. Much of Dr. Cripe’s research combines modern neuroelectric performance markers with a specific astronaut head model derived from MRI/DTI brain images to investigate network level connectivity changes during and after spending months in space. Brain performance stability indices will be used to identify relationships between changes within an individual crewmembers’ neurocognitive function, neural functional-structural alterations and impacts on indices of cognitive, sensory/motor function performance. This research targets key networks and hubs, considered to be vital in maintaining stability within neurocognitive functions: working memory, cognitive control networks (performance/affective/ psychological), perception, motor control, memory, attention, and executive function.